This one day, interdisciplinary symposium will bring together scholars, postgraduate students, practitioners and activists, to explore current discourses of migration in Britain and Europe. Across Europe, the public discourses of migration continue to trade on anxiety and fear. Much of this debate seems wearying familiar: populist politicians rehearse familiar anti-immigration rhetoric, while EU states co-operate to target so-called “irregular” migrants and the figure of Sangatte resurfaces in the popular press like some reanimated pop-cultural remake. At the same time, European migration appears to display new contours and patterns that such repetitions seem unable to record. Figures suggest that 2014 has seen a dramatic spike in Mediterranean fatalities as ever-greater numbers of African migrants attempt the perilous passage to Europe. Migration within Europe has also changed, as the EU expansion has combined with the calamitous collapse of finance capital. Is it possible to reconcile these continuities with the seeming novelty of Europe’s migration? Does the apparent familiarity of these debates reveal or mask the shifting realities of migration in contemporary Europe? Furthermore, what differences or similarities can we trace from state to state? And are the discourses surrounding migration in Europe particular to the continent or simply evidence of a planetary trend? The FULL SCHEDULE is now available to view. The rise of UKIP and a turn towards considering migration as a threat goes against the principles of a multicultural Just society, which many people have been struggling for for a long time. We believe that there is now, more than ever, a need to provide a platform of support to obtain justice for those refugees, asylum seekers, migrants, and new, as well as older, ethnic minority communities who need it. We believe that often individuals and communities themselves can help each other if there is space to develop new initiatives and perhaps new ways of working. To support this process we wish to welcome you to an event which will provide an opportunity to voice your opinions about what the main issues are with regard to injustice and migration, connect with others where we have shared goals, and discuss what action we might take. All welcome. The venue is wheelchair accessible and children are welcome. The event is free but please book your place at http://migrationandjusticeforum.eventbrite.co.uk so we can make sure we have a big enough room. Guest Editors: Maria Pisani (University of Malta) and Shaun Grech (Manchester Metropolitan University) Much has been written and documented on migration and the movements of people within and across national borders. 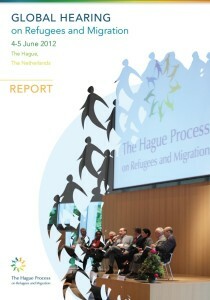 In the light of environmental disasters, wars and conflict, food shortages, and environmental degradation, issues concerning the migration – development nexus have received considerable attention with the development literature infused within broader subjects of poverty reduction and humanitarian intervention. However, within the research and literature on forced migration one is immediately struck by the stark absence of disabled people. This absence is evident also across all of the disciplinary fields in forced migration including international development, anthropology, global health and humanitarian action. Moreover, many countries of resettlement, such as Canada and Australia, actively exclude disabled people from their refugee and asylum programs. Critically, disability studies has yet to extensively engage with the predicament of disabled refugees and asylum seekers and their journeys across a range of geopolitical spaces. This is despite the fact that wars, conflict and environmental disasters that cause people to migrate are also a major cause of impairment and impoverishment, whilst the forced migratory passage impacts disabled people as they flee or attempt to reconstruct their lives in other places. This negligence is sustained by the virtual exclusion of disabled migrants, including Internally Displaced Persons (IDPs), refugees and asylum seekers from major policy documents such as the UN Convention on the Rights of Persons with Disabilities (UNCRPD) and the most recent offering, the WHO/World Bank (2011) World Report on Disability. Those wishing to submit an article, please email your full manuscript to both Shaun Grech (S.Grech@mmu.ac.uk) and Maria Pisani (maria.pisani@um.edu.mt). Please insert ‘Submission for Disability and Migration Special Issue’ in the subject line. Manuscripts will be sent anonymously for double peer review, and comments and recommendations relayed to authors through the editors.